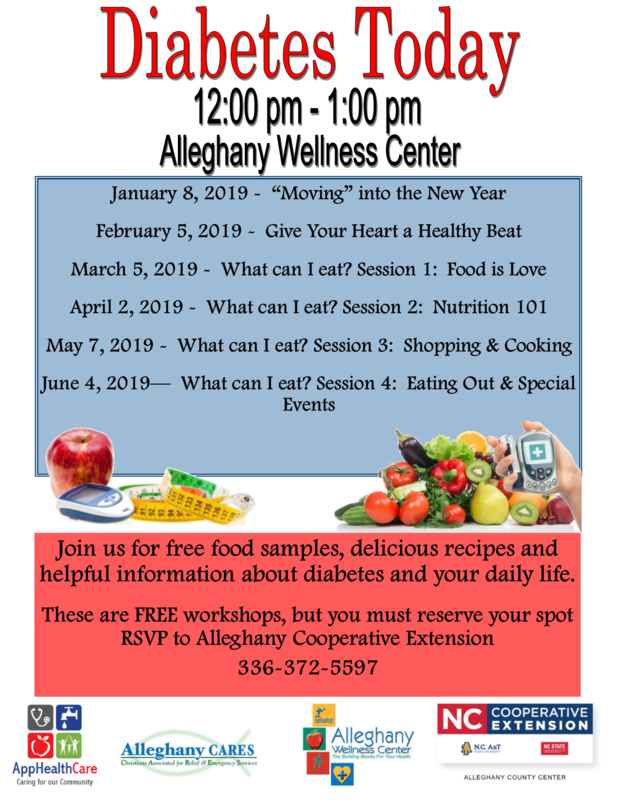 Join us on Tuesday, February 5, 2019, at noon at the Alleghany County Wellness Center (located at 508 Collins Road, Sparta) for Diabetes Today! This month we will focus on “Giving Your Heart A Healthy Beat.” RSVP to the N.C. Cooperative Extension of Alleghany County office at (336) 372-5597.